Dreams in fiction are hard — but not impossible — to pull off. Why? Two reasons. 1) most dreams are fragmented (to ourselves) and boring (to others), and 2) a book/TV show/movie is essentially a dream: the writer is asking the reader to suspend their disbelief. To add a dream within a dream is tricky, and risks pulling the reader from the main story. But dreams can be effective. Let’s look at the movies. 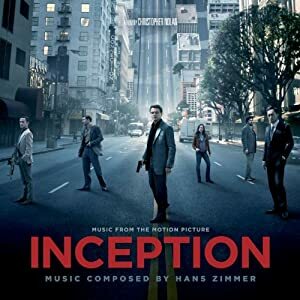 Inception was a great film about lucid dreamscapes. The viewer was never sure where reality ended and dreams began, even after the movie ended. Some people hated the whole movie because of this, but for me it worked. The Nightmare on Elm Street series wasn’t just a bunch of teen slasher flicks. It was also a clever way to exploit nightmares common to all of us. Even in our worst nightmares we know on some level they are just dreams. In A Nightmare on Elm Street, this was no longer true. I can’t skip over the single worst use of dreams EVER: when the writers of mega-soap Dallas passed a whole season off as a dream. Horrible. Unbelievable. Buffy the Vampire Slayer had an episode titled Restless. It’s almost entirely dream sequences. Each of the four main characters, Willow, Xander, Giles and Buffy, experiences dreams–surreal dreams–that convey character and information vital for future episodes. It was unorthodox storytelling, and it worked. In Doctor Who, the episode Amy’s Choice followed Amy, Rory and the Doctor as they are forced to distinguish between reality and a dream world. They face mortal danger in both realms, and must choose to “die” in the dream in order to awaken in reality. These all worked because the dream was integral to the story being told. The dream for Randy is part of a break from the world as we know it; as the book progresses, he will “slip” between worlds. And, it’s a short, singular image that melds waking and sleep. In Always Mine, the main character, Danny, is targeted by an evil spirit after using a Ouija board. The entry point for this evil spirit? Dreams. He eats away at Danny through his unconscious mind. Dreams were the gateway. Writing dreams is a tricky proposition. It usually only works if it’s an integral part of the story. Helix: more zombies coming to television? Previews are cryptic, but it’s from Battlestar Galactica‘s Ron Moore, so who knows? 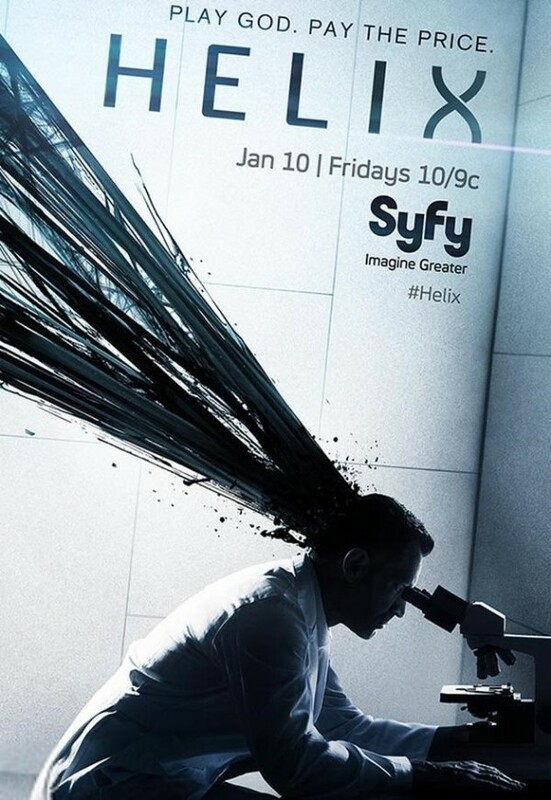 SyFy is promoting their new show Helix, set to air in January. It’s about a team of scientists fighting a viral outbreak in an Arctic research facility. This virus, from what I can tell, turns people into faster and stronger zombie-like creatures. But aren’t zombies overdone? What’s left to do with them? The promo for Helix focuses on the scientific process. Um, okay. Then what? The good (or bad) news is that it’s exec produced by Ron Moore, the genius who resurrected Battlestar Galactica and then steered it into a wonderful mess by the time it ended after four seasons. Where will he take Helix? Based on his track record with BSG, it’s anyone’s guess. Hell, he might not even know for sure. An underused trope of horror gets its due. The Ouija board is basically just a game. You touch a pointer (or other object), and ask questions of the spirit world. The pointer will move between yes/no, or letters to give you an answer. Simple enough. Except when you play with a Ouija board, you’re messing with the spirit world. From a creative standpoint, there are tons of possibilities. But I’ve rarely seen it portrayed in TV, movies or in print. the 2007 movie Paranormal Activity used it to good and creepy effect. A recent episode of American Horror Story: Coven had one as well (they called it a spirit board), though it wasn’t nearly as consequential as it could have been. Now there’s a new movie in production, called, simply enough, Ouija. It’s way too early to tell how this one will pan out; from the looks if it, it will be a typical teen horror flick. At least it’s a start. My opinion?The more interpretations the better. I’ve added my own Ouija board story to the canon. It’s called Always Mine, and it’s about Danny, a 15-year-old who has a crush on Tina, the new girl next door. She lures him into Ouija board play, and he quickly becomes the target of the spirit of a drowned Swedish sailor. It was a fun story to write, and I attribute that to the Ouija board — a great prop and a cool gateway into tales of terror. What lies between a masterpiece and a mess? The writers are not afraid to give us complicated villains and complex heroes. Jessica Lange’s Fiona Good, the supreme leader of the struggling New Orleans coven, is basically evil. She killed the previous supreme to usurp her powers, and she killed a young witch who threatened to challenge her standing. But lately we’ve seen Fiona struggle with terminal cancer. Maybe it’s due to Jessica Lange’s talent, but I actually felt sorry for Fiona. And now that there are new villains on the scene (the witch hunters), we might actually see a heroic Fiona. And then there’s Zoe Benson, the young witch, and the hero of the story, or at least the character that the writers have used for the audience to identify with. She’s always been led into iffy situations (resurrecting Kit Walker Frankenstein-style), but now she’s killed Spalding, Fiona’s henchman. Yes, he was bad, but Zoe didn’t flinch. That doesn’t bode well for her, but it sure makes her a lot more interesting. Let’s stick with Zoe killing Spalding. It would have been nice to see a consequence for her (as a person). There was none. Then again, death seems to be irrelevant. Madison Montgomery was killed. She’s “alive” again. Myrtle Snow was burned at the stake and now she’s back. Can Madame Delphine ever die? (Please?) Death is no longer shocking or interesting. And what about rules? When a writer constructs a universe, the rules should be clear and consistent. In American Horror Story: Coven they are not. Kit was brought back to life several episodes ago but he can still barely talk; everyone else resurrected was fine after a day or so. Madison said there was nothing after death, just blackness. But we’ve seen two spirit entities so far: the Axeman and Spalding. So something must exist after death. Sometimes less is more. Tell that to the writers. Every scene involving the over-the-top Jesus freak next door neighbor Joan Ramsey and her dopey, cardboard son Luke make me want to change the channel. An enema as punishment? Death by bees? Really? And get rid of Madame Delphine. She’s served her purpose. Christmas is coming, and that means only one thing to me: a new Doctor Who Christmas special. And this one will be the end of the 11th (or is it 12th? 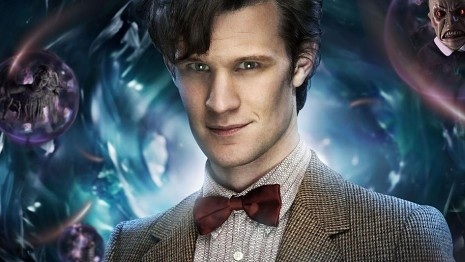 — seriously, who knows for sure) Doctor, as played by Matt Smith. The preview clip is up now, and it seems like Steven Moffat is throwing another grab-bag of Doctor Who villains at us: Daleks, Weeping Angels, Cybermen, and the Silence. Seriously, Steve? Anyone else you want to include? This hodgepodge of villainy has been a specialty of the Moffat era of Doctor Who. It never works for me. Too distracting. What else to expect from Moffat? His writing shuttles between brilliance and incoherence. Not much of a middle ground. At least he’s always entertaining. Can’t wait to see how he offs Smith’s Doctor. Sympathy for a devil? Sci-fi meets serial killers in an intriguing and fast-paced thriller. There’s nothing good to say about Jeffrey Dahmer, who murdered, ate, and attempted to zombify 17 men from 1978-1991, except that he’s dead. So imagine a novel where the reader identifies with the clone of this monster in the form of a “normal” 15-year-old boy. It’s here. 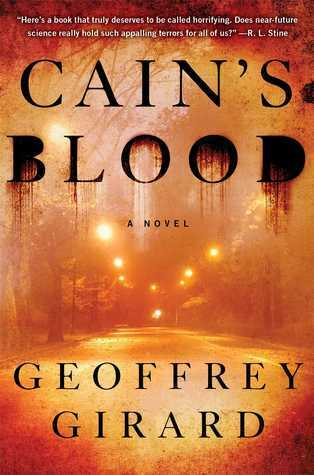 It’s called Cain’s Blood, by Geoffrey Girard. And it works. The plot: a secret government-related outfit has been cloning the nation’s most notorious serial killers in order to determine their genetic underpinnings, and then create a biopharma weapon. Some of the teenage closes escape, along with their creator, and former Army Captain Shawn Castillo is called in to track down the renegades. 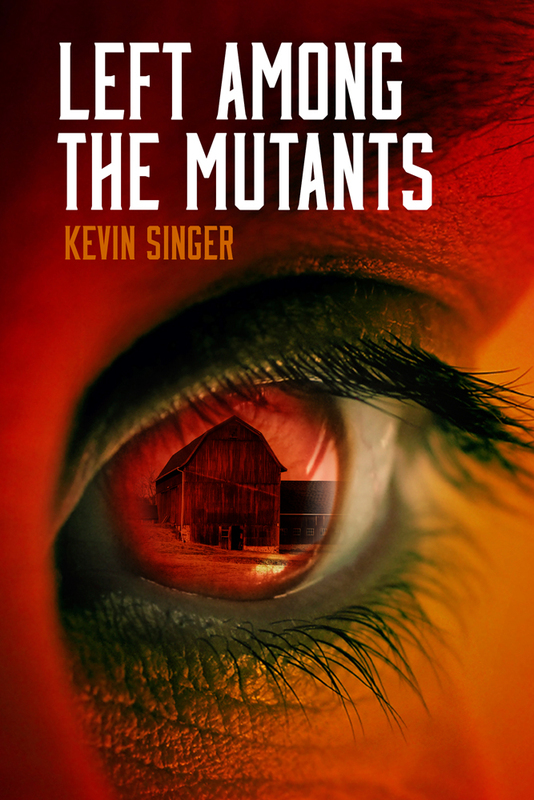 He stumbles upon Jeff Jacobson, a teenage clone of Dahmer, and together they travel the country searching for the clones. First, what I didn’t like. Too much gore. I’m not a fan. But how can you escape gore in a book about serial killers? Also, the protagonist, Castillo, is a stock thriller hero: nearly superhuman, endlessly brave, though haunted by a dark past. I tend to avoid books featuring a CIA/FBI agent, police detectives, forensics, etc. I like people who seem more relatable. Just my own preference. The character who is relatable turns out to be the young Dahmer clone. And that’s what I liked most about this book. Jeff Jacobson thinks he’s a normal kid, and for the most part, he is. How does he react when he finds out the truth? Can he rise above his genetic heritage? –A great premise: while clones have been used in movies (The Boys from Brazil, The Island) and in fiction (JA Konrath’s The List, Kazuo Ishiguro’s Never Let Me Go), Girard takes the concept in a dark and entertaining direction. –Fast-paced storytelling skills. I burned through this book in a few days. –Focusing on the plight of a normal kid in Jeff Jacobson, who must grapple with the whole nature/nurture issue. About the science: this book takes on the nature/nurture debate. Is younger Jeff destined to become a serial killer, or would he be positively influenced by his upbringing? Girard hedges his bets here – some clones are murderous, others don’t seem to be. But the reality is more complex. Technically, identical twins are clones of each other, yet they often do not turn out the same way. Some twins use different hands. Some twins are gay/gay, while others are gay/straight. We know precious little about how genes work. For example, scientists are only beginning to learn about so-called junk DNA, the huge sections of our genetic code that seemingly have no function. And then there’s epigenetics. Can life experiences actually affect the genetic code, not just for the self but for future offspring, several generations on? Scientists used to laugh this off. Now they’re not so sure. Killer clones aside, truth is a lot more complex than fiction. I’ll hold judgment on a movie I haven’t seen, but if this report from io9.com is true, a new horror/sci-fi mash-up is a space disaster. It’s called The Last Days on Mars — great title, btw — and it’s about a group of astronauts about to leave Mars who discover bacteria that turns them into zombies. Okay, interesting set-up. And it stars Liev Schreiber. Encouraging. But if the io9.com write-up is to be believed, they fail on two big counts. First, character. The article describes the crew as “eclectically unlikeable.” Uh oh. I’ll wait for it to come on Spike TV. And for the record, Doctor Who already did something similar. It was a special called The Waters of Mars, and it was scary, smart, and had characters you actually liked (though the zombies looked just a little cheesy). 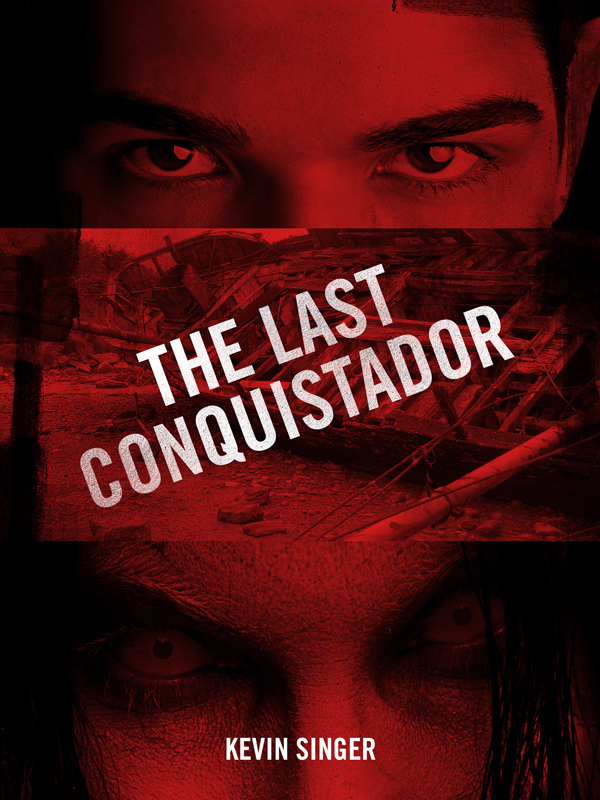 Watch that instead if you have a craving for zombies and Mars.